A targeted list that you can market to is one of the biggest keys to making money on the Internet. This 75 minute video series shows you how – step by step. List building is, in my opinion, is the most important part of the business for an Internet marketer. Sure – you can make money without a list – but you can make a huge amount of money when you have a good list. But it isn’t enough just to build a list. You must build a HIGHLY TARGETED list for your selected subject matter (niche) and build a relationship with them. The relationship aspect is the most important part of all. If your list doesn’t trust you then you have just wasted your time and effort building that list. Let’s face it – in order to be successful as an Internet marketer you MUST start building your list. The list will become your number one asset. If you did a poll of successful Internet marketers and asked them what their most important business asset was, 99 out of 100 would tell you it is their list. You can make more money from a targeted list than you could from any website. That is a fact. If you were to lose all of your websites and income streams today, but you still had your list, you could start making big money immediately using only that list. That is why most Internet marketers would tell you that their list is their most valuable asset. 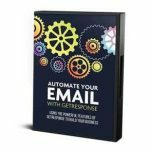 You push a button to send an email to your list and your PayPal account explodes with cash. It really is as simple as that. You find a product to promote. You check it out and make sure it is a quality product. And KACHING! You just made a big pile of cash. Now what? Rinse and repeat as you see fit. Does that sound simple? Well it is, however YOU MUST DO EVERYTHING CORRECTLY OR YOU WILL NOT MAKE A SINGLE DIME! If you make a single mistake in the way you build your list or the way you market to your list, you will not make any money. There are some very important factors that you must consider and that is what we will share with you in this five part video series. How To Find a Product To Promote. How To Find Free Bonuses To Give Away That Make You Money Virally. 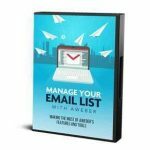 Those are the things you MUST do correctly to create a profitable mailing list. Take it from someone who has tried many other ways to build a list, this is a sure fire method to build that money making list. All that is left for you to do now is watch the videos, put the system into action and start profiting from your list. Get your copy of the video series now before the price goes up.